Terra MODIS image of Missouri acquired on April 25th, 2017. Terra MODIS image of Missouri floods acquired on May 2nd, 2017. 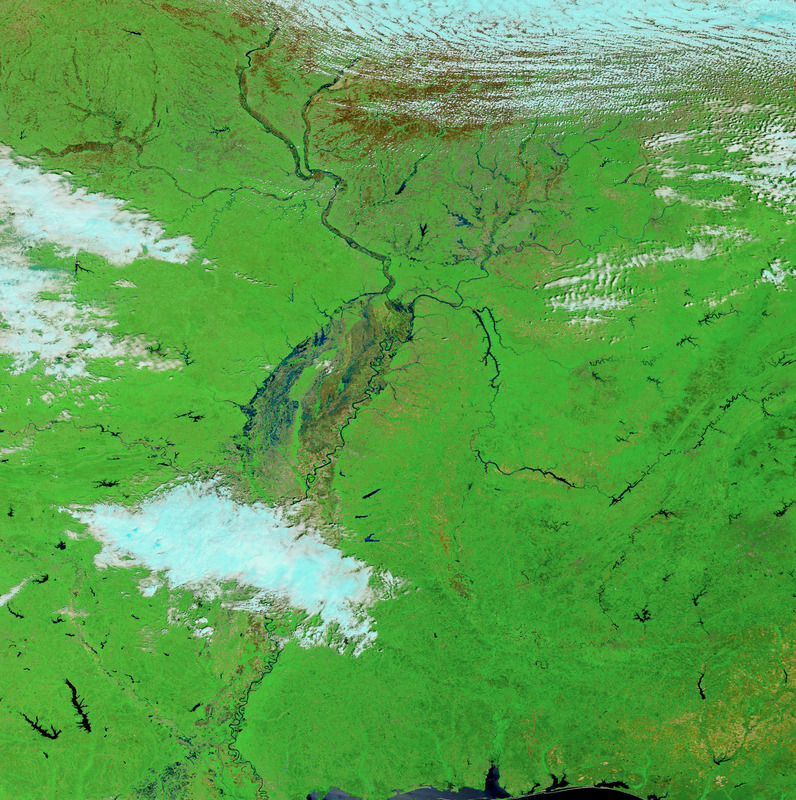 On May 2, 2017, the Moderate Resolution Imaging Spectroradiometer (MODIS) on NASA’s Terra satellite acquired this false-color image of flooding along several tributaries of Mississippi River. Flood water appears blue and black; forested areas are green. Fields without much vegetation are brown. For comparison, the image at the top shows these watersheds on April 25, 2017, under more typical conditions for the season. Turn on the image comparison tool to see the changes. 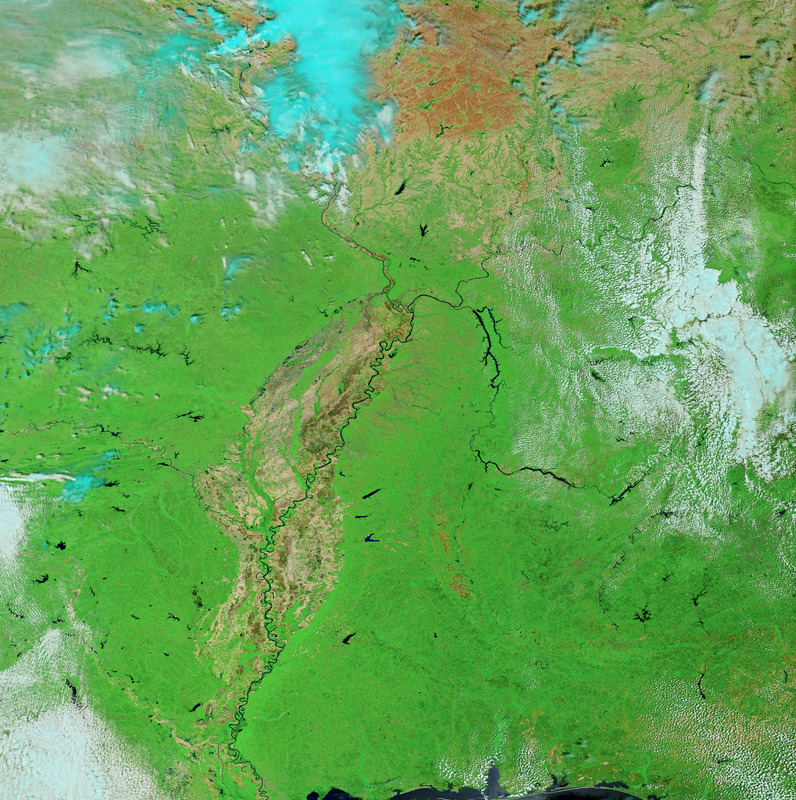 Since clouds can block MODIS images and make flood assessment a challenge, NASA’s Disasters Program is working in collaboration with the European Space Agency (ESA) to provide flood mapping products to the U.S. Federal Emergency Management Agency (FEMA). NASA processes observations made by synthetic aperture radar (SAR) on ESA’s Sentinel 1A and 1B satellites. SAR is of great value for flooding monitoring because it can “see” through clouds. In 2020, NASA plans to launch a SAR-carrying satellite called NISAR in collaboration with India's space agency.